Applications for recruitment of 55 vacant posts of Chief Manager, Manager, Senior Engineer, Senior Officer, Officer in GAIL India Limited have been invited. Interested candidates can apply before the deadline by reading the given instructions. The last date to apply is November 21, 2018. Candidates for these positions will be selected on the basis of interview and experience. Educational Qualifications – Visit the Gail India Limited website for educational qualification and other information or click on the link given below. How to apply –Click here for detailed official notification and other information. Apply soon – 55 vacant posts of Chief Manager, Manager, Senior Engineer, Senior Officer, Officer in GAIL India Limited have been invited. Interested candidates can apply before the deadline by reading the given instructions. The last date to apply is November 21, 2018. Candidates for these positions will be selected on the basis of interview and experience. 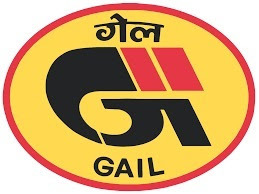 Gail (India) Limited (GAIL) (formerly known as Gas Authority of India Limited) is the largest state-owned natural gas processing and distribution company in India. It is headquartered in New Delhi. It has the following business segments: natural gas, liquid hydrocarbon, liquefied petroleum gas transmission, petrochemical, city gas distribution, exploration and production, GAILTEL and electricity generation. GAIL was conferred with the Maharatna status on 1 Feb 2013, by the Government of India.